The stainless steel windproof ashtrays are designed with high walls and curved rims to make sure that the wind doesn't blow ash everywhere. 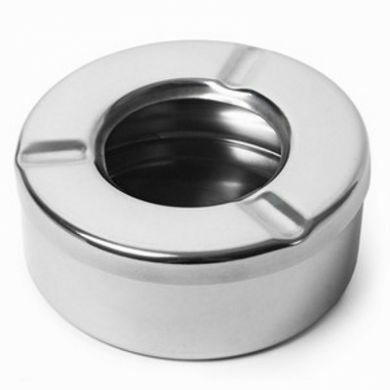 They are made from stainless steel which offers a durable and stable ashtray that will last a long time. The lids are removable for easy emptying and feature 3 cigarette resting dents. 2 piece - lid and base. Diameter: 92mm / 3 1/2 Inches.